For a long time, the only way to get the fully immersive movie experience was to drive to the movie theater and buy an overpriced ticket and a bucket of popcorn. But thanks to an increase in accessible technology, home theaters are more affordable than ever. In fact, having a home theater can even increase the value of your house. 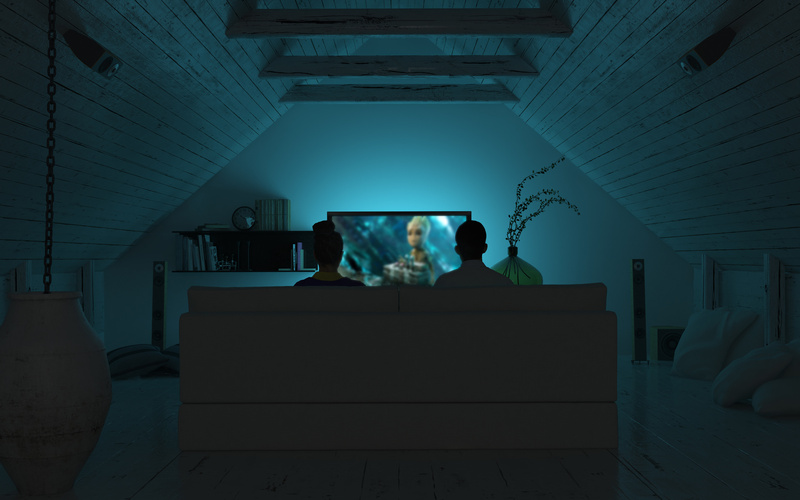 Once you’ve decided to take that spare room in the attic or space in the garage and turn it into your own home theater, it’s time to start planning. But where do you begin? In this guide, we’ll walk you through how to build a home theater–from the room to the tech to the decor. Designing a home theater room doesn’t have to break the bank. With these tips, you can transform that unused room into a theater that can capture the movie magic just like on the big screen. And yes, popcorn is included. The ideal room for a theater is a long, wide space that’s isolated from the rest of the home. You can use a spare bedroom, the attic, the basement, or even the garage. A rectangular room will give you the best sound quality, especially if you place the screen and speakers along a short wall. If possible, opt for a room with few windows or none at all to avoid audio or visual distortion. 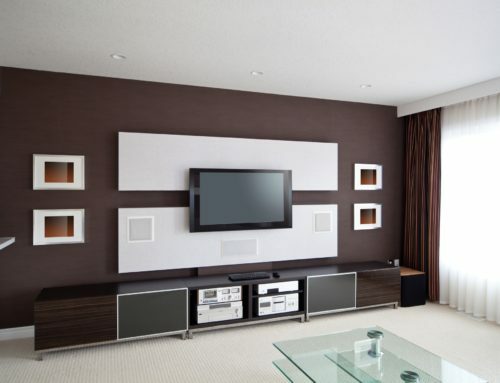 Any kind of drywall will do, but if you’re worried about controlling the sound you can purchase acoustic wall panels specially designed for home theaters. Most home theater speakers systems are designed to provide specific sounds from specific areas around you. Picking an advanced speaker with home theater capabilities is crucial to replicating the movie theater experience. For a home theater, it’s best to have surround sound speaker placement, meaning that you’ll place three speakers towards the front of the room and the two remaining speakers on either side. Keep speakers at least 20 inches from the wall and try to keep them equally distant from the viewer. A good speaker system will adapt differently depending on the room that it’s in–take the time to experiment with speaker placement and distance until you’ve found a setup that works. The best part of any home theater set up is having a high definition display screen. Try to place your display screen at eye level or just a few inches above–don’t elevate the screen too far. The best viewing angle is about 30 to 40 degrees, tilted down towards the viewer, although you may have to adapt depending on the seating. For the ideal viewing distance, try to aim for 1.5 to 2.5 times the diagonal width of your screen–you can also use a viewing distance calculator to help. Learning how to build a home theater is just half the battle. But with a little investment of your time and energy, you can put together a movie theater right in your own home. If you follow these tips, all you’ll have to do is throw in a few comfy chairs, some decorations, and start watching all your favorite movies and television shows. Looking for more technology tips and tricks? Check out our blog for more! How Can Smart TVs Get Even Smarter?